Mike has a diverse practice in our Litigation and Labor & Employment Law sections. He is the firm's General Counsel and the former Chair of the firm's Labor & Employment practice section. Mike represent employers in state and federal court and before administrative agencies, including the National Labor Relations Board. He also represents management in labor and employment law matters in both state and federal courts. 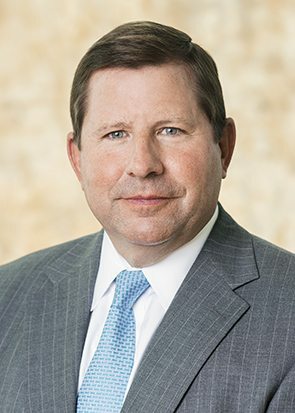 Mike also has extensive experience in complex litigation matters including personal injury cases, franchise disputes and real estate matters. Mike has extensive experience in representing employers in dealing with legal compliance with the National Labor Relations Act. Mike has handled many individual and class cases in state and federal courts. He typically defends employers in all types of discrimination cases, wage and hour cases, and cases involving labor/management issues. Notably, Mike was Trial Counsel for USX Corporation in the case of Cox v. USX Corporation. In this class action lawsuit, approximately 5,500 current and former employees of USX contended that USX granted pensions to certain union negotiators in exchange for labor concession in a local labor agreement. Company documents estimated those concessions exceeded $24 million annually. USX had been convicted of various criminal violations of Section 302 of the Taft-Hartley Act, as well as mail fraud and an ERISA violation relating to the pensions. Burr & Forman did not represent USX in the criminal cases. In the civil case, plaintiffs sought damages in excess of $1 billion. Plaintiffs refused a $10 million offer of judgment and consistently demanded a settlement in excess of $100 million. After a lengthy trial, an Alabama jury rendered a verdict in favor of USX. During law school, Mike served on the Vanderbilt Law Review and authored the Alabama narrative for Cornell’s American Legal Ethics Library. He also serves as the Alabama Regional Coordinator for Attorney’s Liability Assurance Society.